Cape Verdean musician Abel Lima (above) graces two recent excellent collections of music from that island nation - Space Echo: The Mystery Behind the Cosmic Sound of Cabo Verde Finally Revealed (Analog Africa AACD 080, 2016) and Synthesize the Soul: Astro-Atlantic Hypnotica from the Cape Verde Islands 1973-1988 (Ostinato OBT CD0002, 2017). He was born in 1946 in Curral Velho on the island of Boa Vista. At the time Cape Verde, along with its sister countries Guinea-Bissau, Angola, Mozambique and São Tomé & Principe, were under the heel of Portuguese colonialism, and over the years armed resistance movements grew in opposition. Cape Verdean men over the age of 16 faced conscription to fight in these wars, so at the age of 13 Lima emigrated illegrally to Ivory Coast, where he took up typography. Moving on to Senegal, and then to Paris in 1969, he joined the Partido Africano da Independência da Guiné e Cabo Verde (PAIGC), a liberation movement devoted to the independence of Cape Verde and Guinea-Bissau, and began his career as a musician. 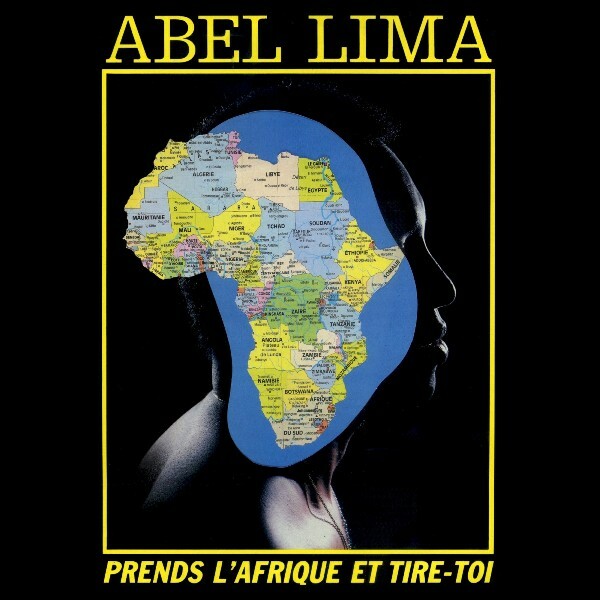 The lyrics of Lima's songs in this period are marked by his devotion to the liberation of Cape Verde and African people, for instance "Cabral 1924-1973," dedicated to the memory of Amilcar Cabral, the assassinated founder of the PAIGC. The liberation movements in Portugal's African colonies were successful to such a degree that they brought about the collapse of the Portuguese government itself, the Carnation Revolution of April 25, 1974, and independence for the African countries. Abel Lima returned to Cape Verde in 1974 to participate in its renaissance, and here recorded "Corre Riba, Corre Baxo," a stinging denunciation of the exploitation of African exiles in Europe. Unfortunately, family and economic necessities forced him to return to France. It was during Lima's second French sojourn that he hosted a radio program, "Prends l'Afrique et Tire-Toi," and recorded today's offering, a 1983 LP by the same name (Radio Rivage AL 07). The backup band, Voz di Povo, draws on the ample supply of African musicians in Paris, including Congo's Maïka Munan, Ballou Canta and others. The result is a unique blend of Cape Verdean sounds and soukous. Delightful! 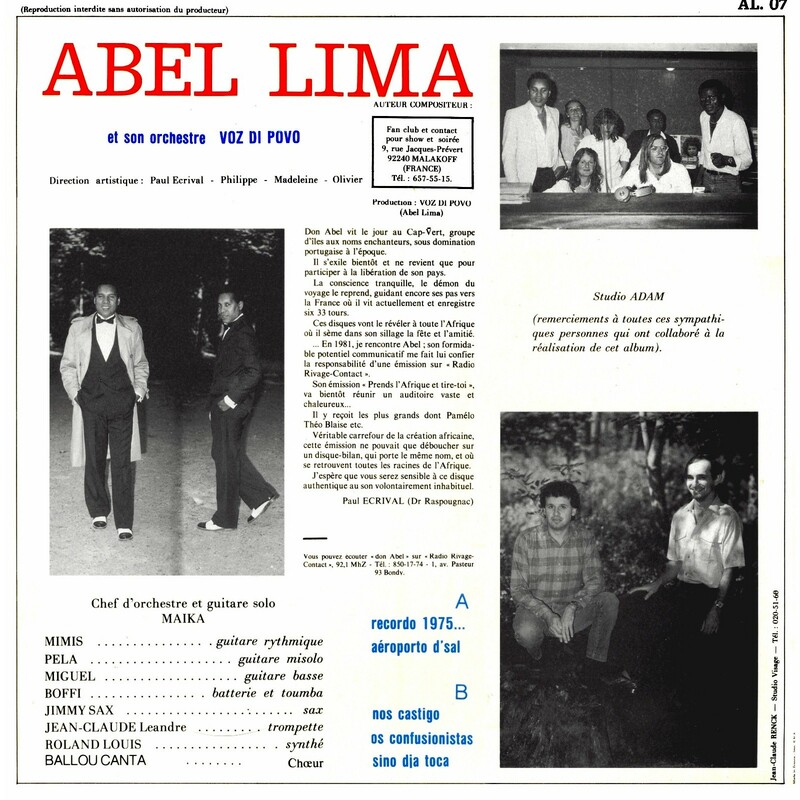 Over the years Abel Lima made a living in the printing industry in France while recording a number of albums as an avocation. After retiring in 2003 he returned home to Curral Velho, where he passed away in October 2016. Download Prends l'Afrique et Tire-Toi as a zipped file here.